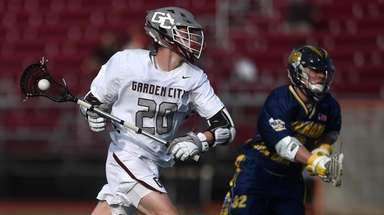 The Marcus A. Henry Award, named in memory of the former Newsday sports reporter, is presented annually to a Long Island high school athlete who not only excels on the field and in the classroom but displays great leadership. These are the 2017 finalists, listed in alphabetical order. The winner will be announced during the week online and a profile of the recipient will appear next Sunday in Newsday. The list of Jillian Colucci's athletic accolades can only be matched by her extracurricular activities. Colucci, a five-year varsity player and three-time captain, led Port Jefferson to its second straight girls soccer state Class C championship last fall, scoring three goals in Cortland over the state semifinal and championship. She led Suffolk in both goals (32) and assists (20) and was Newsday's Suffolk County Player of the Year. To follow up her soccer successes, Colucci helped the Royals' basketball team reach the state final. "I don't think I could have had a better year," Colucci said. "I got to experience something that so few athletes get to do going to states, and twice in one year. " But her resume without a ball is equally impressive. A four-year member of the rotary interact club, including treasurer as a senior, and three-year member of the varsity club, including serving as president as a senior, Colucci had a busy schedule during her senior year. She volunteers at John T. Mather Hospital in Port Jefferson, does youth training with soccer and basketball players and has participated for the rotary interact club on events such as Camp Paquatack, The Annual Walk for Beauty in Stony Brook and Habitat for Humanity. Despite the busy schedule, Colucci doesn't have much trouble finding time for it all. "It's not hard to balance all the important things in my life because I love doing each and every one of them," said Colucci, who will play soccer at Marist next fall. "So no matter how tough it will be, I'll always find a way to fit them in." 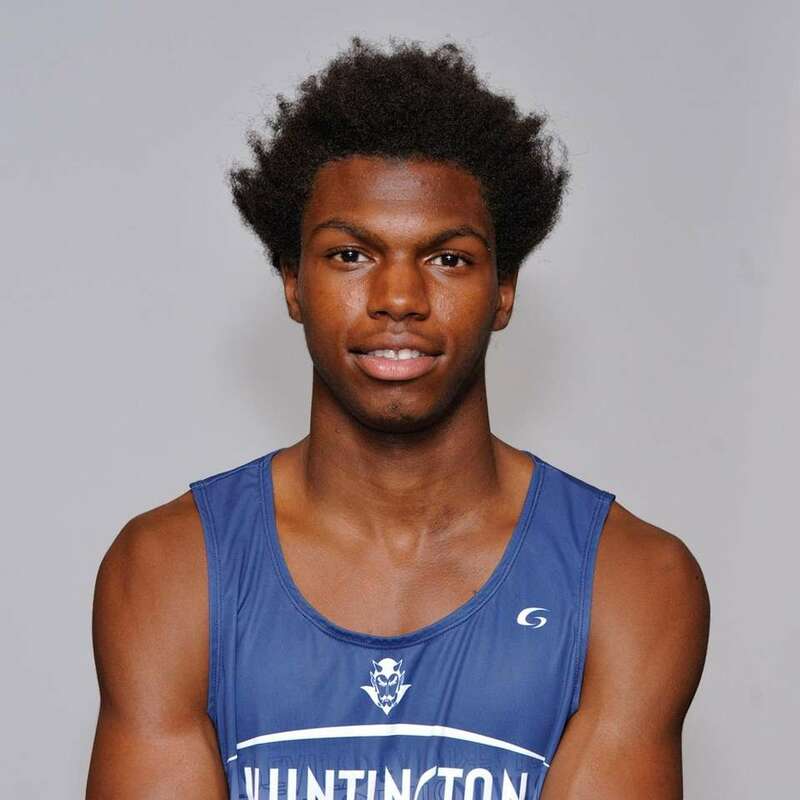 Kyree Johnson has excelled during his time with the Huntington track and field program. The sprinter, who ended his senior season with a fourth-place finish in the 400 meters at New Balance Outdoor Nationals, is a two-time state champion in that event. He also won the Division I Long Jump state title earlier this month. But, the decorated speedster is a dedicated community servant and role model for future Huntington High School athletes. Johnson is a member of the Young Leaders youth development and mentoring program, which participates in roadside, beach, and park clean ups, as well as anti-drug and anti-gang initiatives. 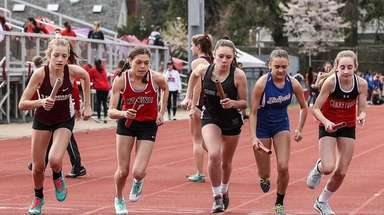 Earlier this year, Johnson was instrumental in getting the track team to join Huntington's town-wide "Eggstravaganza' - an Easter event in Heckscher Park, attended by hundreds of elementary-aged children. Johnson has also involved himself in Huntington High School's Relay for Life Fundraiser, as a tribute to his grandmother, Anna McNeil, who is a breast cancer survivor. "He has a heart of gold," Huntington track and field coach Ron Wilson said. "He'll do anything for you. He likes to joke around a little bit, but at the same time, has a heart for people and humanity" Johnson also visits local elementary schools, speaking about the importance of education and volunteering. "That's one of the most important things, to have younger kids looking up to you and following everything that you want to do," Johnson said. "I tell all the kids to be great and do their best." Johnson will attend Texas A&M in the fall on a full track and field scholarship. "I'm not going to stop," Johnson said. "Even when I go to Texas, I'm going to put my best in to make Huntington a better place." Kelsi King's contributions go well beyond the playing field. 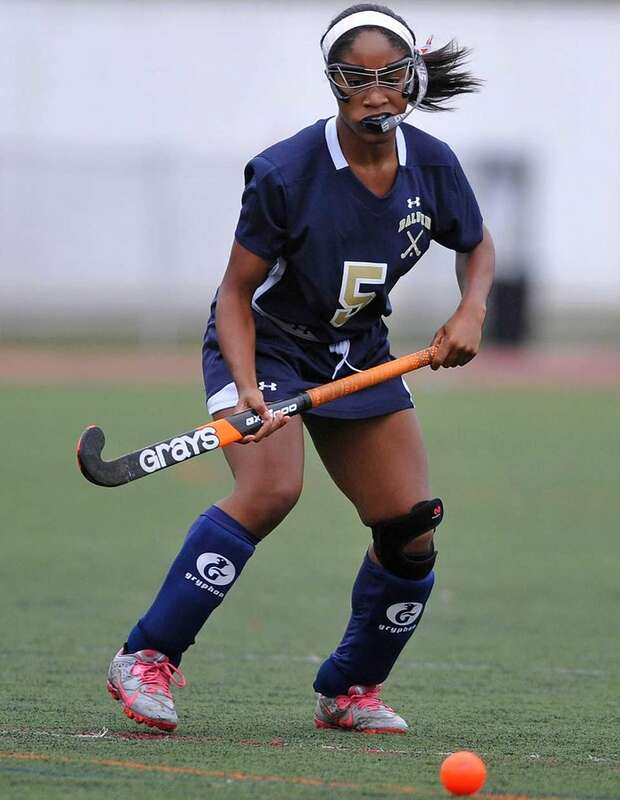 "Whatever it is she's doing," Baldwin field hockey coach Mike Hoover said, "she pours herself into it 110 percent -- whether it's field hockey, the classroom, being captain, being a friend, being anything." Indeed. King boasted a 1,350 SAT, had a weighted grade-point average of 110, and was president of the Honor Society. She was one of the captains of the field hockey team and helped Baldwin win the 2016 Nassau A title, its first since 1998. King was honorable mention All-County, not bad for someone who started playing the sport as a sophomore. "Two weeks into (her sophomore) season we brought her up (to varsity) and she started every game since," Hoover said. "She's the Energizer Bunny -- she never stops. She developed her skills, and whatever she didn't have, she made up for in desire and heart." 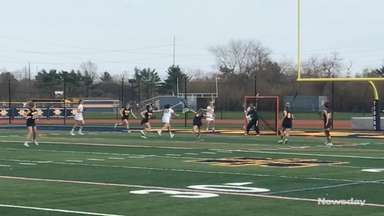 That determination translated to the lacrosse field, too, where she was also a captain. But King, who will attend Duke University, was also involved in many community service programs, including Baldwin's Athletes Helping Athletes program (she spoke to elementary school students about the dangers of drugs, alcohol and tobacco) and the 2016 Breast Cancer Walk. 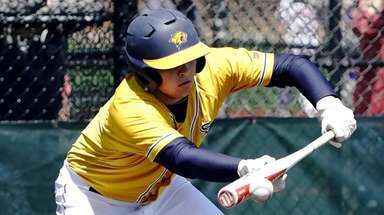 Baldwin athletic director Ed Ramirez believes King is the epitome of a student-athlete. "What makes Kelsi so unique is that she's so well-rounded," Ramirez said. "She's not only an excellent athlete, but she's tremendous academically, in her community service and as a person. She's one of the most well-rounded individuals to come through the doors of Baldwin High School." Hailey Schwartz had hands-on training like few others. Three years ago on a medical mission in Ghana, Schwartz recalled, she was asked to "pick up a baby" at a hospital. But with the doctors on strike at the time, she was needed to assist a nurse with an emergency C-section delivery. "It was shocking that I had just done that because there wasn't even a doctor doing it," Schwartz said. "It was just so unexpected and in the moment." Schwartz, a senior at the Knox School living in Oakdale for the past seven years, grew up living in different countries, including Mexico, and wants to help children. "Being exposed to other different environments and ways of life that these people were living, that kind of inspired me to be a doctor," Schwartz said. "Or have a job that could help people." Schwartz traveled to West Africa last summer as a volunteer for Ghana Medical Outreach at the Cape Coast Teaching Hospital. In January, she was an ambassador for KB Operation Hope and traveled with a group of students to Guyana for a week to perform charitable works, such as delivering food, and helping to deliver medical and educational goods. Athletically, she rowed crew three years, and participated in other extracurricular activities such as being a member of the National Honor Society and organizing the school blood drive. Schwartz, who will attend Cornell University, will study Environmental and Sustainability Science in hopes of becoming a Pediatric Gastroenterologist and continue to work to improve the lives of young, impoverished children. 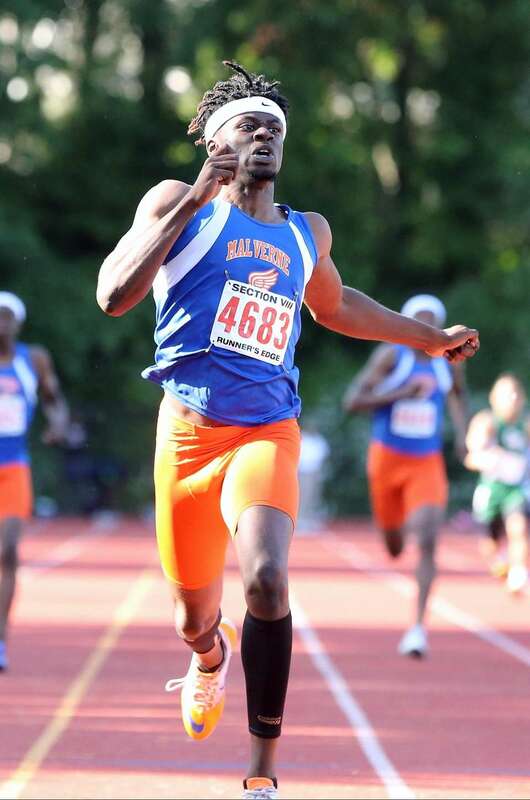 With all the things Malverne's Maurice Teachey Jr. does, it's a good thing he's fast. Teachey Jr. spent his senior year as captain of both the football and track and field teams, all while maintaining his position as a positive force in his community. Teachey Jr. is a national youth outreach leader for the Greater Glory International Fellowship, traveling to North Carolina the last two years to help mentor younger athletes. "We play basketball with kids," said Teachey Jr., who won the state Division II 400 meter championship earlier this month. "They're many different kids from all over. I like the diversity. I see different point of views." That's hardly the only example of Teachey Jr.'s work with youth. He also works with the Malverne Wildcats, a youth football program, to teach the finer points of the game he loves. He uses his notoriety as an outstanding high school football player for good. "People already know me in the community, so kids come and we train them for football," Teachey Jr. said. "Whatever they need help with, if they just need to talk and stuff, we try to inspire them and make sure that their head is on straight." Teachey Jr. said he could see himself teaching younger kids for a long time, enjoying the ability to lead them. But, of course, his athletic career is far from over. He will play football and run track at East Stroudsburg University in the fall, where he intends to major in business management. "He's probably one of the hardest working athletes I've coached," Malverne football and track coach Kito Lockwood said. "He never wants to come in second, and I think that's based on his level of leadership . . . Most kids with a whole lot of athletic ability slack and dog it and try to cut corners, but this kid doesn't believe in shortcuts. He's probably one of the best athletes we've had in ten years and I can't reiterate enough about the character aspect. The kid just has a great deal of character . . . As a person, he's an A+. " Jourdin Thomas is just as dynamic on the basketball court as she is in the classroom and in the community. 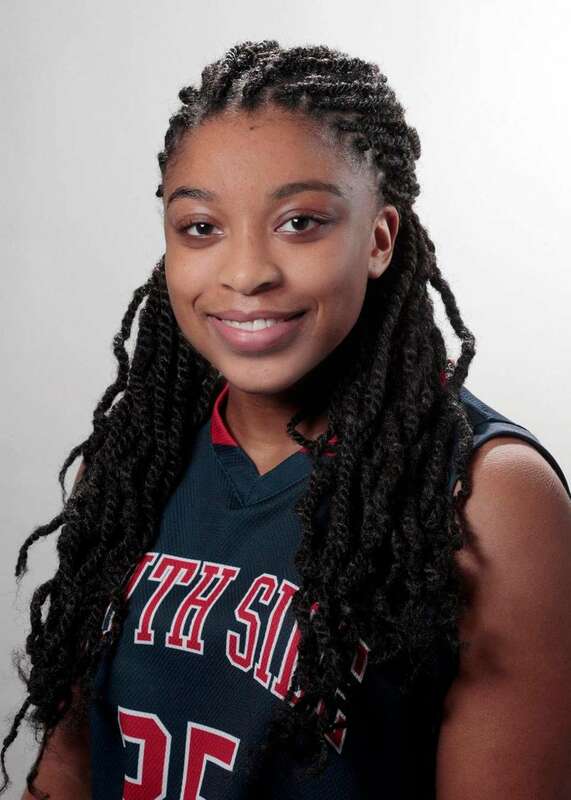 The basketball star averaged 25.2 points per game for the 16-4 Cyclones and showed great improvement on her jump shot thanks to what coach Dan Ferrick said was an increased focus on shooting drills. Ferrick called her "the best guard I've coached in 17 years with the program" in large part because of her drive to improve. "One of the things I always took away from her is that she's extremely coachable," he said. It's that determination that fuels Thomas in everything she does. Thomas will attend Dartmouth in the fall with the hopes of studying neuroscience after achieving a 102.3 weighted average in high school. Ferrick said she was also invited to try out for the women's basketball team. 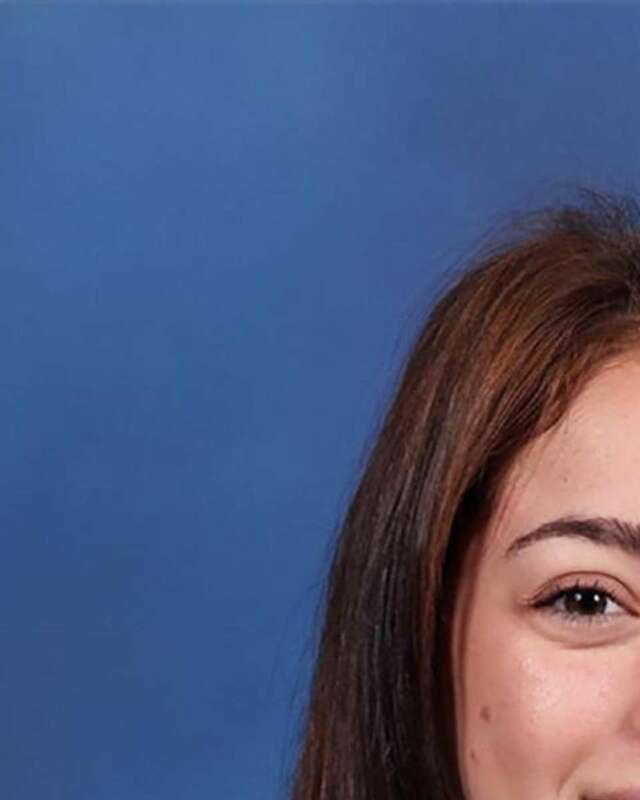 Her rigorous course load of almost entirely International Baccalaureate classes earned her recognition from both the American Chemical Society and the American Association of Physics Teachers. She also received the President's Education Award for academic excellence. Despite so much emphasis on basketball and schoolwork, Thomas has also participated in Girl Scouts, in which she is a Gold Award candidate, the highest honor that can be bestowed upon a scout. Her 80-hour community service project to qualify for the distinction is a video that Ferrick said describes "the usage, history and turmoil of the N-word." Ferrick said Thomas is a leader in the South Side community for her focus on inclusion and "bridging the gap" between demographics. 2016 Marcus A. Henry Award finalistsThe Marcus A. Henry Award, named in memory of the former Newsday sports reporter, is ... 2015 Marcus A. Henry Award finalistsThe Marcus A. Henry Award, named in memory of the former Newsday sports reporter, is ... 2014 Marcus A. Henry Award finalistsThe Marcus A. Henry Award, named in memory of the former Newsday sports reporter, will be presented annually to a Long Island high school athlete who not only excels on the field and the classroom but displays great leadership. 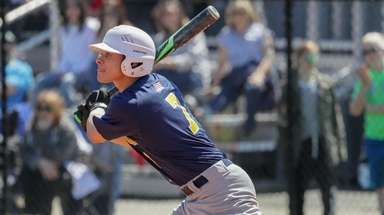 The winner will be announced Thursday on newsday.com/sports and a profile of the recipient will appear next Sunday in Newsday.